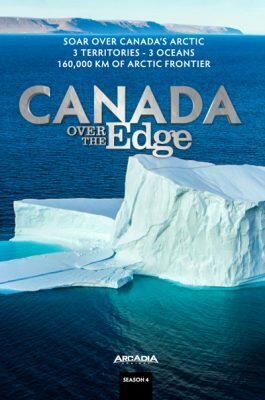 Flying along the world’s longest, undefended border, a crew took to the air to film the aerial documentary television series, Canada Over the Edge in the summer of 2014. The series filmed near Paulatuk, Tuktoyaktuk and Inuvik in NWT, and included interviews with local people on regional history and culture. The crew worked closely with the NWT Film Commission to find regional contacts for interviews.